Product prices and availability are accurate as of 2019-04-21 12:22:35 CDT and are subject to change. Any price and availability information displayed on http://www.amazon.com/ at the time of purchase will apply to the purchase of this product. SPACIOUS AND CONVENIENTLY SIZED - Tactical Backpack Size: 16"*20"*10"/ 40.4*50.8*25CM (W*H*D), Capacity: 50L. This military backpack is made of high quality and water-resistant 1000D nylon material for durability that's conveniently sized. PRACTICAL AND MULTI-FUNCTIONAL - This tactical military backpack is perfect for any outdoor activity, including are camping, hiking, travelling, trekking, etc. Going on a vacation, to school or just shopping? This multiuse backpack can fit all of your needs no matter what they are! 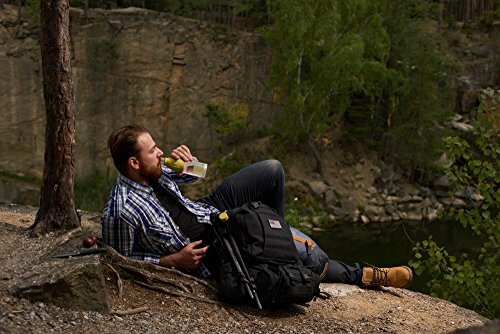 EFFECTIVE MOLLE SYSTEM - Our molle system allows you to easily attach any additional loads, gear or pouches for a highly practical backpack that's also multifunctional! 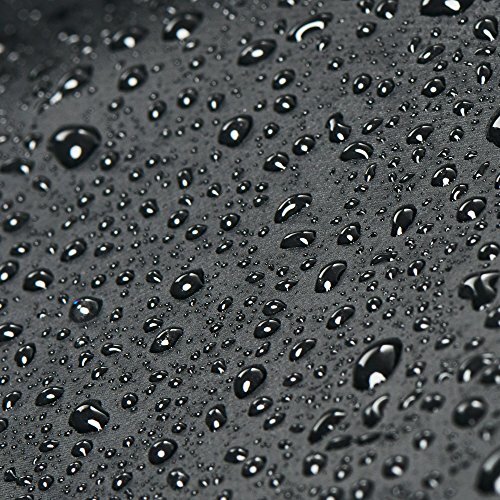 DURABLE AND RELIABLE - Our hiking bag is double-stitched complete with a padded back area, heavy duty zippers and rain diverting flaps to keep the insides dry all the time. 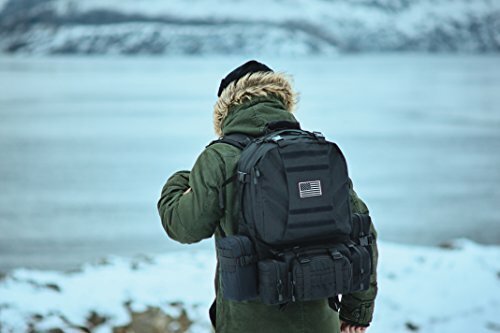 Made for all kinds of weather, this military backpack is made to last in all conditions! 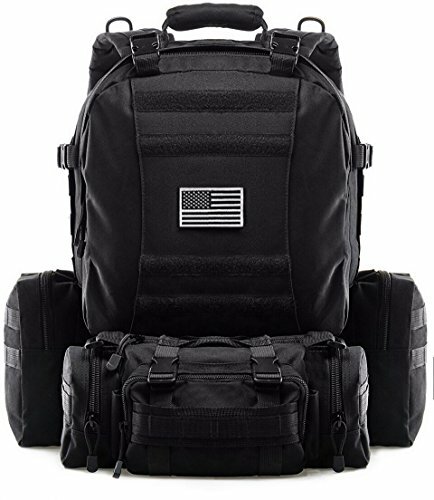 100% RISK FREE PURCHASE - We are completely confident in the quality of our product, that's why we are offering an incredible ONE YEAR WARRANTY with our military backpack. Feel free to contact us if you have any issues with your order. We'll replace or refund your purchase hassle-free!